Our bison are raised on Montana premium hard grass prairie near the geographical center of North America's bison herd-the habitat preferred by them since 200,000 B.C. 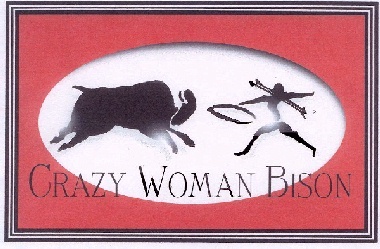 Crazy Woman Bison respects bison as wild creatures with dignity, history, spirit, communal bonding, and joy of life. We are committed to "letting our buffalo be buffalo." At the same time, our ranch values and breeds for intelligence, model conformation and outstanding health. Our bison thrive in the freedom of large pastures. Read about Hunt Buffalo in Montana: What Our Hunters Are Saying. Read about Costs and Services For a Crazy Woman Bison Hunt. Read about A Hunt at the Crazy Woman Bison Ranch: Step by Step. Read about The Crazy Woman Bison Hunt Experience: Ten Distinguishing Features. Read about Books, by Mary Stange, now available from Crazy Woman Bison Ranch. Read about Books, a new series of books edited by Mary Stange. Thanks for stopping by. Drop in again some time.